Back to Basics Binder: Over 25 Life Organizers! My heart is thumping in joy to unveil to you another work of heart. 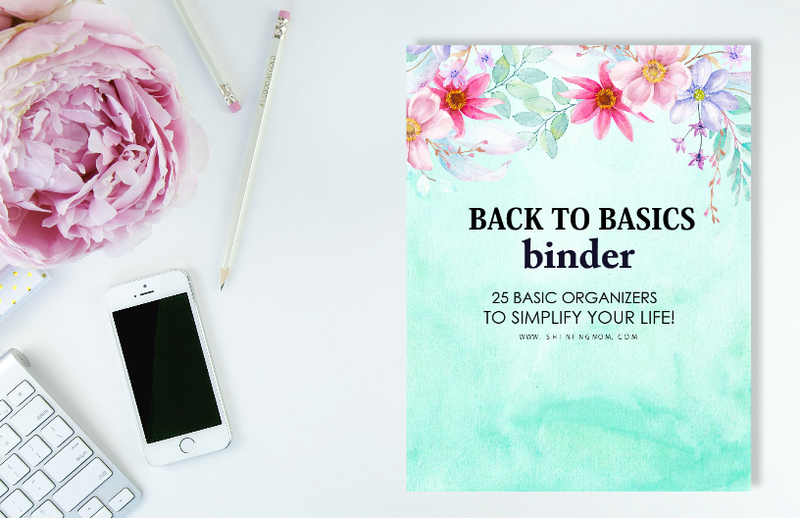 Introducing… the ‘’Back to Basics Binder” an essential organizing toolkit for the busiest person of them all- YOU! In this busy world, we all yearn for simplicity and bliss. But how do we handle the too much tasks have in our hands? Plan and prioritize. Simply put, go back to basics and organize your life. Isn’t it that when we’re organized, we are more in control and at ease hence more productive? Friends, I am happy to share that the long wait is over. Another excellent tool to help every strong and busy woman like you is finally here! What is “Back to Basics Binder”? Is for you? Back to Basics Binder is a is a one-stop organizing planner for every busy woman out there looking for a simple system to organize her hectic life. 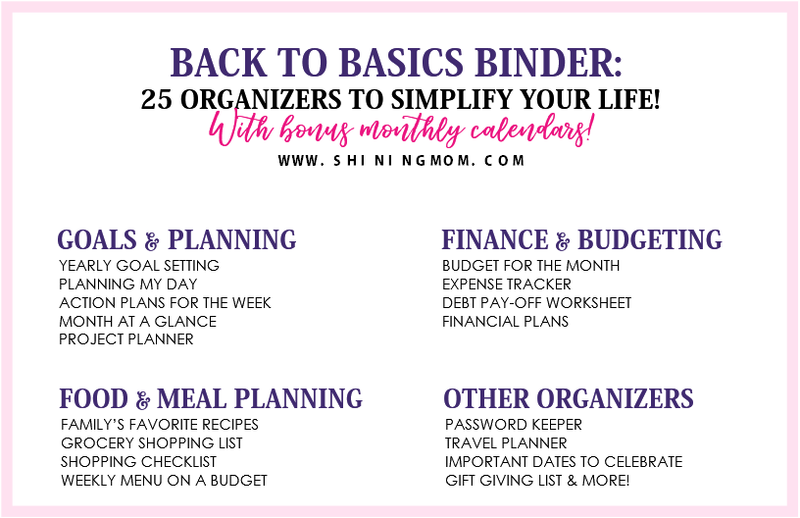 The binder is fully packed with solid basic organizers to help her successfully manage her time, work, resources, and family. The target? To help her run a more blissful, meaningful, organized and productive life. If you can relate to the sentiment of that woman trying to cope with her too much work, then this planner is for you! It’s time to give your dream of living a more blissful and organized life a chance! 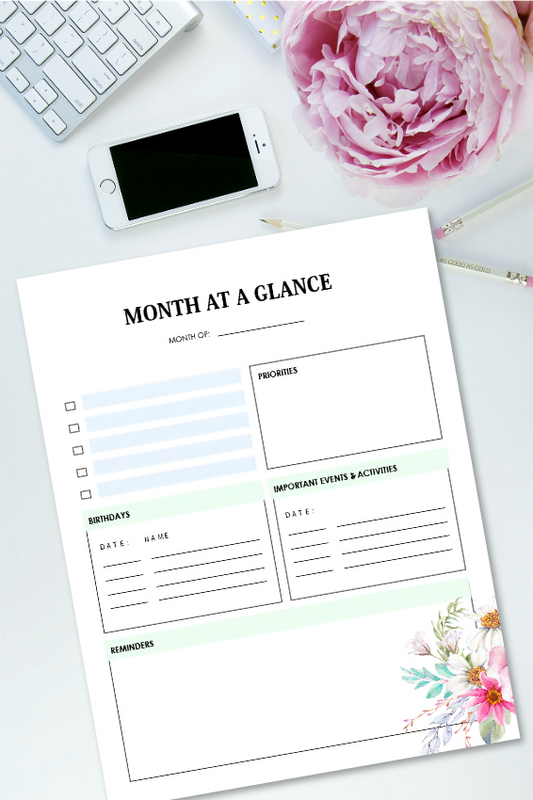 “Back to Basics Planner” is a collection of more than 25 types of printables to help you get organized. All in all, it’s boasting over 42 pages of life organizers. Inside the binder, you will find all the basic organizers you need everyday. 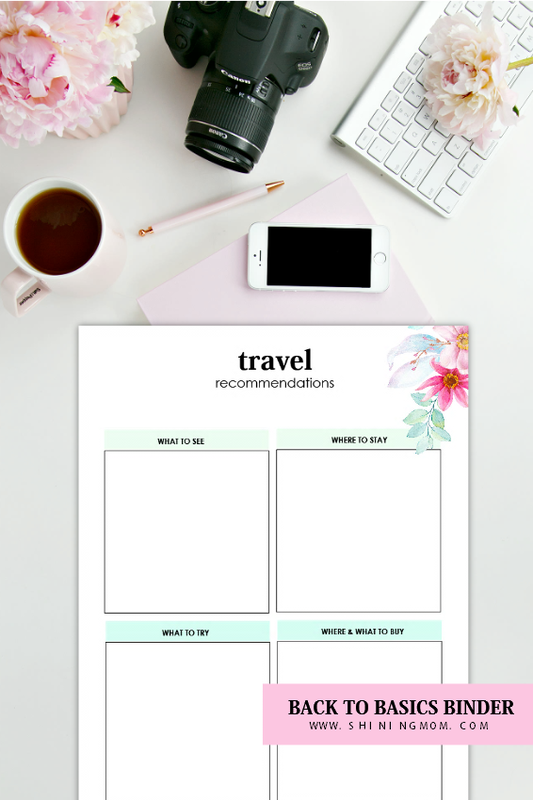 And since it’s created and released by Shining Mom (who has established a reputation for creating beautiful and functional printables), you know that every single page comes clean, practical, functional and of course pretty! Want to see some of the sample pages? Let’s take this quick planner tour! Always feeling busy but not necessarily productive? When you have a lot of things in your to-do list without prioritizing– you’ll end up starting a lot of tasks, and finishing just a few. This binder is a good starting point to help you set your priorities. Cut the feeling of being overworked, but had gotten very little done. Struggling on putting healthier food on your plate or your family’s? Maybe it’s about time to plan your meals ahead! The binder has pretty planning pages to help you do that! Love to travel? You’ll never miss any important travel details again! Sometimes wondering where did your money go? It’s about time to take full control of your finances by tracking your expenses and spending leaks. 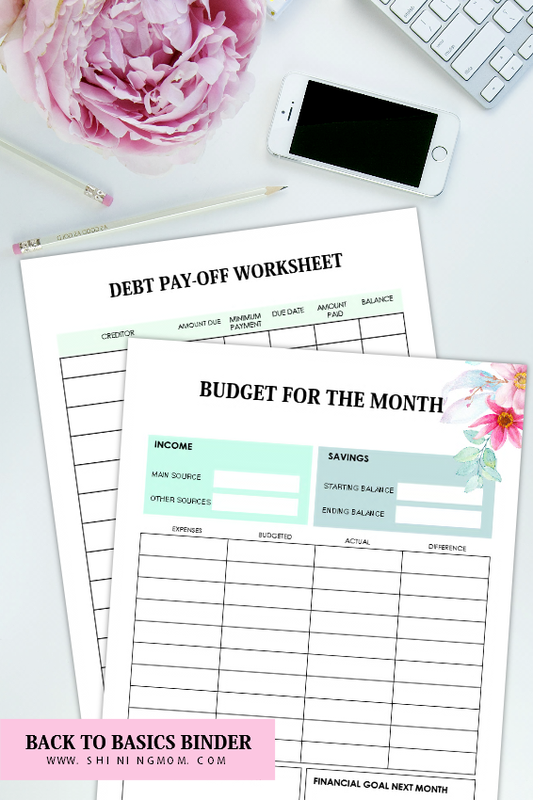 The budget planner included definitely makes a good starting point to your journey towards financial wellness! And oh, to make your purchase even more delightful, I am giving a way this particular design of 2018 monthly calendars for free. Now is your chance to grab this free 12-month calendar, too! Here’s another sweet surprise: The planner comes in two lovely versions! 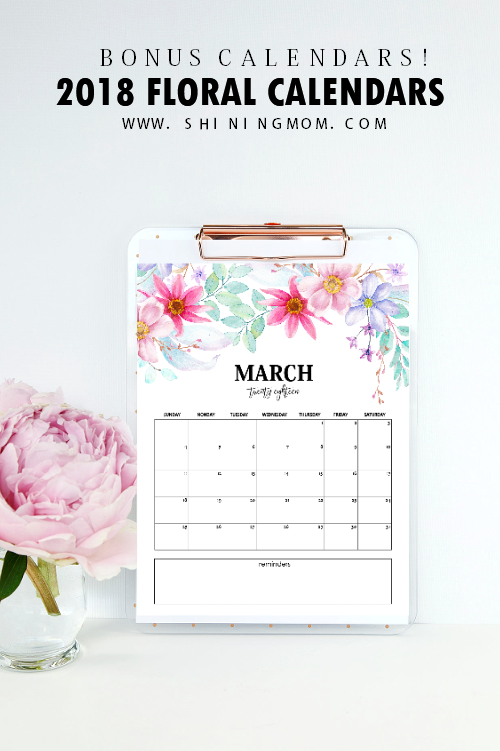 You may choose to print out the planner in pretty florals or use the basic and minimalist one. Yup, your purchase includes the flexibility to choose the design of the planner that you like depending on your mood and personality. Your purchase comes in two pdf files designed for printing in standard, letter-size paper (8.5″x11″). “BACK TO BASICS BINDER” is a beautiful gift for yourself or your friends. Get your copy now and start being more organized and productive today.